Mark Ciadri has brought many true stories to the big screen. From Miracle (2004) to Secretariat (2010) to McFarland, USA (2015), many of his films have brought renewed attention to actual events that changed the lives of the people who experienced them firsthand. His latest film Chappaquiddick is also based on a true event — an event that ended one life and changed the lives of many people surrounding it. 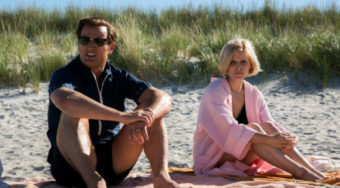 The film tells the story of the infamous 1969 accident on Chappaquiddick Island that claimed the life of Mary Jo Kopechne. Massachusetts Senator Ted Kennedy, brother of the late President John F. Kennedy and the late Senator Robert Kennedy, was visiting the island at the time. Late one evening, Senator Kennedy drove his vehicle off of a bridge with Mary Jo Kopechne, a former Robert Kennedy campaign aide, in the passenger seat. Kopechne was killed in the incident and the Senator fled the scene. The scandal forever changed the life of Ted Kennedy and his recounting of the incident has continually led to questions about his potential negligence. Ciadri’s new film starts before the accident occurs but mostly explores the consequences from it. Taylor Allen and Andrew Logan wrote the film’s script and the movie stars Jason Clarke as Senator Kennedy. The supporting cast includes Kate Mara, Ed Helms and Bruce Dern, who plays Senator Kennedy’s disapproving father. 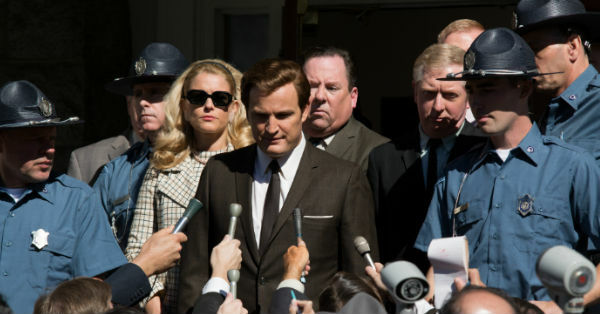 I recently had the opportunity to talk to Ciadri about the tragedy, the casting of Clarke in the lead role and the filming that took place on Chappaquiddick Island. Below is a slightly edited transcript of our conversation. In the past, you’ve produced many films based on true stories like Secretariat, Miracle, and McFarland. What appealed to you about this true story? It’s something that I just fell in love with. It was [the] script. I didn’t develop it. It came to me. I wasn’t searching out a movie about Chappaquiddick. We got the script and I remember my friend, who’s a manager, telling me that ‘My writers wrote a really great script. I don’t know how the talent is gonna respond to it’ so we read it, fell in love with it as well and we said, “We’ll see. We’ll see how the response is” and it was incredible. Everyone loved the script — agents, managers, executives —and so then we started putting it together. Can you talk about making sure the film was historically correct? The writers used the inquest, which was a thousand page inquest where everybody was on record and under oath and that was their main source for the film and for the screenplay so [the film is] very very accurate. That’s what we set out to do. It’s not really to editorialize too much. Just present the facts. Not to make a movie for the right or the left. Kind of go down the middle. That’s what I appreciate. All kinds of audiences are enjoying this film and really have responded to it. You don’t have to be conservative or liberal. About six months [after the tragedy], they did an inquest to see if there was any criminal behavior. [Kennedy] had already gotten a two month suspended sentence. It was more to appease the outcry and put everybody on record and get all the facts. Once that was done, I think even the Kopechne family felt somewhat betrayed in Ted’s account of the story so in a lot of ways, it spelled it out even more. He basically said he didn’t report it for 10 hours because he didn’t have control of his faculties. That he had a concussion. When you lay it all out, you see his actions over those 10 hours, you realize more of a cover-up happened than anything. Can you talk about casting Jason Clarke as Ted Kennedy? He’s a fantastic actor. He’s really an actor’s actor. When he read the script, he campaigned for it and I was a big fan of his. We brought him on before we even had our director on board. We felt like we found our Ted Kennedy. He resembles him a bit and with the teeth and the hair, it’s uncanny. When we did the camera test, it was like ‘Wow. This guy really looks like him. It’s incredible.’ Not that we had to have a perfect match but I think it just helps with believability and you couple that with the best dialect coach in the world and his months and months of preparation and you end up with this performance. Was there any input from the Kennedy family? None of the Kennedy family [who] was there is alive anymore but we did have people reach out [to] like Officer Arena [the Edgartown police chief who was at the scene of the crash the next morning]. We did talk to the scuba diver who found the body and that was an incredible conversation which we actually taped with his permission and it was like he was recounting like it was yesterday. How he found the body. The position it was in — as if she was kind of struggling for her last breathe of air. When they brought the body up to the shore, when they compressed the chest, very little water came out and it was kind of more of a pink frothy foam as we depict in the movie and that’s consistent with asphyxiation, not drowning. They did not do an autopsy so we still have a lot of blanks and let the audience make their own opinion. How do you think you found the balance of Ted Kennedy? In the movie, you see so many sides of him. What was the greatest challenge in making this movie? Every movie is difficult, to tell you the truth. Anybody that makes movies can attest. All you’re doing is solving problems the whole time. You have a limited budget and you want to show authenticity… You always have that burden of getting it right and getting those performances. The challenge too was going down to Mexico. We had to recreate that bridge and build it and we did all that tank work down there. We did the crash. We did when [Kopechne] was submerged. A tremendous amount of work goes into these films. We had multiple locations and we were able to shoot on Chappaquiddick Island for a couple of days, which was great to be able to do and we got the real bridge and the boy. When they discovered the car in the morning, the boy running from the bridge to the Dyke house. That was at the real bridge. We had to digitally remove the guardrails that exist now when they didn’t exist back in 1969. What scenes did you shoot on Chappaquiddick Island? Our first couple days of shooting were there so we got the Ferry Landing. The actual ferry that takes you back and forth… from Chappaquiddick to Edgartown. And we shot at that bridge. We shot the car going over the bridge. We shot the boy and the father finding it so we just tried to get as much as possible. We also did a lot of drone units and got that intersection in the car driving so we have a drone shot of Chappaquiddick Island. The geography of what it is and where that island was and where it situates so all that stuff lends to the authenticity and then you blend it in with other locations.